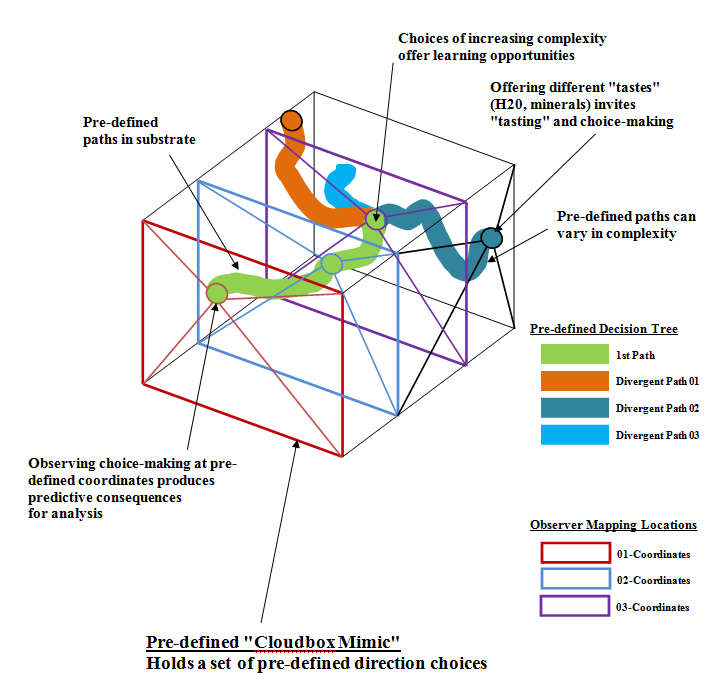 Could Cloudbox Mimics improve the naturalness of machine-learning? Would ‘asymmetric logic’ help machine-learners practice natural learning? Could we enlarge the possibilities, using spatial constructs to teach multidimensional choice-making? This could be a software construct, or a physical object [such as a transparent polymer block, where imaging cameras record choice-making at pre-determined XYZ coordinates to ensure the locations of choices are accurately mapped (especially helpful when there are multiple choices at one juncture)]. Encapsulating and organizing defined space for machine-learned self-comprehension. mimics the “cloudboxing” technique. 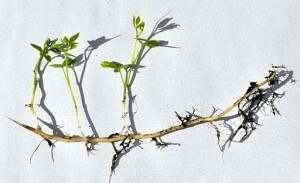 1) What about using a rhizome?
. . . 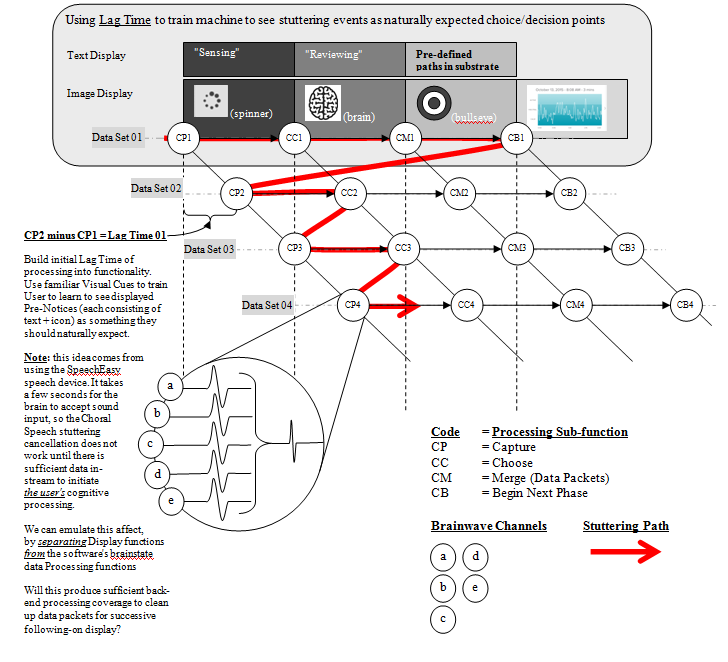 Using a natural entity teaches a machine-learning entity to mimic natural learning. Using a plant creates the possibility that we can map choice-making, using attractants such as H2O and minerals, as a mimic for conscious entities developing learned behaviour. 2) Once you have a defined baseline data set, could machines learn better if being blocked and shunted by an induced stutter? Perhaps learning by stuttering and non-stuttering might produce interesting data? By creating a stuttering event as the baseline, perhaps the program will use this to overcome obstacles to the learning process as well as the object of the lesson to learn to not stutter? This could produce a host of interesting possibilities and implications. 3) Things get incredibly interesting if the program eventually attempts to produce choice options outside the available options . . .
Jiaogulan-Rhizome: Own work/Eigenes Foto by Jens Rusch, 29 August 2014 CC Attribution-Share Alike 3.0 Germany license.